My first encounter of really good churros was with Dulcinea back when I was not even 10 years old. I remember I would struggle to fit the churros to the cup containing chocolate. There were even instances when I would ask for an extra cup of the chocolate dip because it tasted really good. Come college, I was happy to find out that there’s a Dulcinea in the Gonzaga cafeteria. Churros were my breakfast sometimes. Sadly, it came to a point when they stopped operations. “Chichis” is the French term for churros. I don’t know if there are any differences from the Spanish churros, but they taste amazing. Not to mention, cheap! 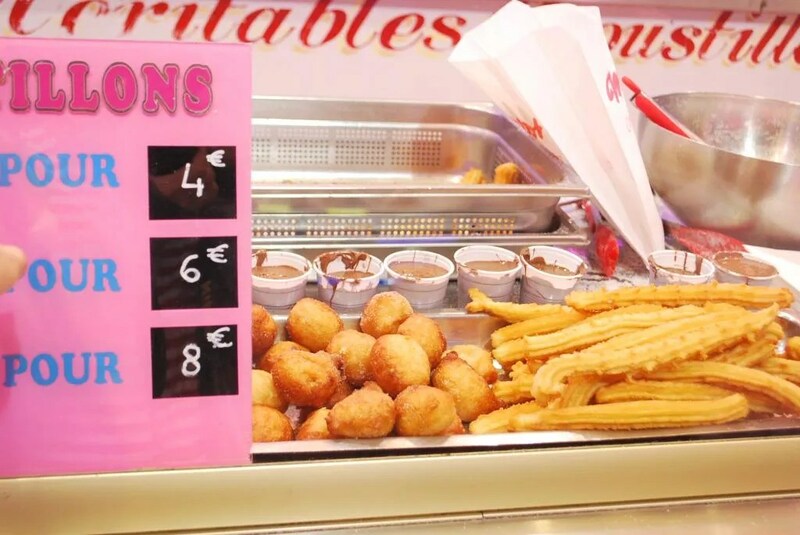 I remember being able to buy 12 pieces of churros for just 2.5 Euros. I would like to think that’s a steal. Being accustomed to Dulcinea, I looked for the chocolate dip. Apparently it’s something you buy on the side. They would usually just sprinkle it with some sugar, and apart from chocolate, you can also have a Nutella dip. I love! In a way, it tasted better than Dulcinea. Never had anything as great ever since I came back. If you’ve been to the Power Plant Mall recently, you would’ve noticed the long line at the lower ground/basement–opposite side of Rustan’s. 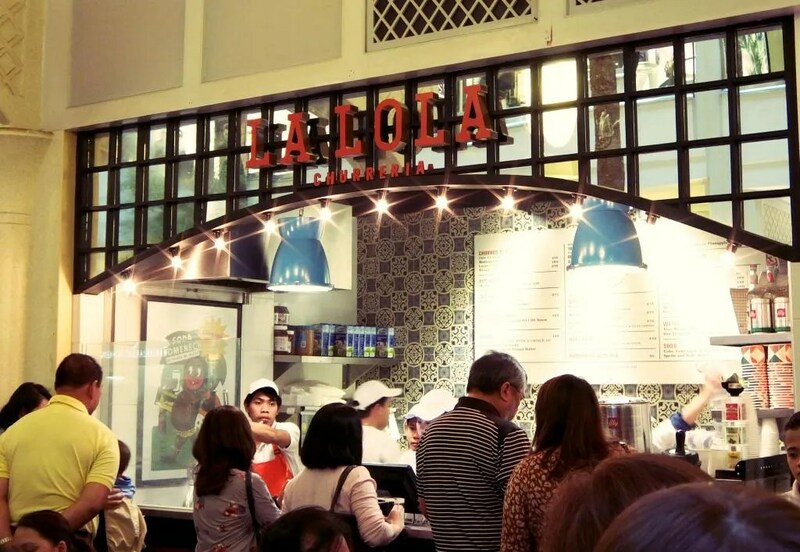 Since December of 2014, people have been flocking to La Lola. I’m so amazed that such a small stall could house 6 busy people who are implementing the whole operations perfectly. They’ve been serving tasty, freshly-made churros to probably hundreds of people everyday. While the line gets crazy long, you don’t feel it that much. The people on the other side are that efficient, in my opinion. What’s the fuss all about? 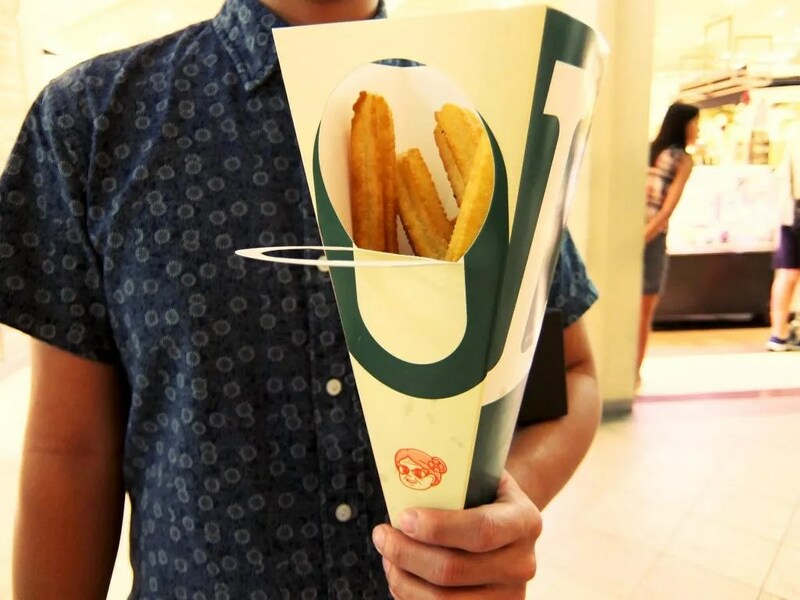 Well, churros. Really great churros. You get them hot, slightly crunchy, and just with the right dash of sugar. Getting a small one is enough, you can go loco and get a large, but that’s best for sharing, I think. You get the chocolate separately. Honestly, even with the reformulation of the dip, I still don’t recommend it. It’s now thicker, that’s a plus. And while they use tablea, I’m still not convinced with how it tastes with the fried-dough pastry. Packaging could be improved, but it’s highly reminiscent of how the French package their chichis, so I guess I’m good with it. Overall, I’m happy that this churros place is in town. Not to mention, the cute logo!